Maxis and HTC today announced the launch of the HTC Flyer. Here are some of the updates at the event. 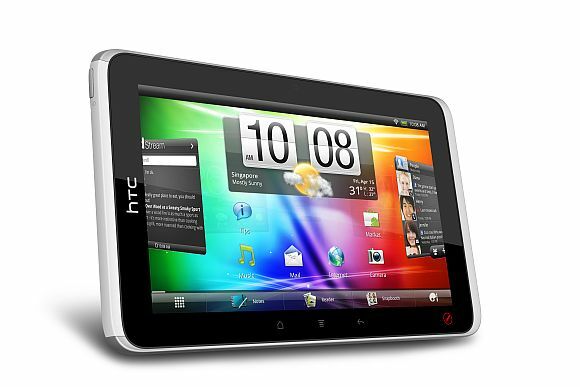 The HTC Flyer will be priced at RM2,499 outright with market availability starting from May 12 at all Maxis Centres and Maxis Exclusive Partners. Maxis has yet to reveal plans and packages for the Flyer but have indicated the that the Flyer will be offered for as low as RM199 with contract. MCMC regulations states that an operator can’t offer contracts for more than 24 months. If we take that into consideration and assuming that the monthly bundled plans are reasonable, this is one good deal for a rather interesting tablet device. Update: We spoke to Maxis COO, Jean Pascal Van Overbeke about the RM199 contract purchase price for the HTC Flyer. He confirms that there is no typo and that Maxis will indeed offer the HTC Flyer for RM199. When asked whether there is a catch, he answered “There is no catch”. Watch it all here.